Rather Dashing Games will release the dungeon-crawl style card game Wakening Lair in March. In this fully-cooperative card game, players act as fantasy heroes and heroines exploring long-forgotten catacombs near their village. Each player chooses one of nine different heroes, presented in both male and female versions, each with different abilities. The heroes then explore the rooms of the dungeon one-by-one, fighting monsters and collecting weapons to help fight the �Monstrous Terror� once it awakens. In the final battle, they must work together to keep the Monstrous Terror from escaping the catacombs and ravaging the countryside. Six different Monstrous Terrors are included in the game for added variability. 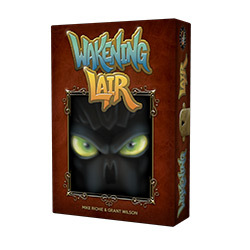 Wakening Lair was designed by Mike Richie and features artwork by Grant Wilson, the team behind other Rather Dashing designs including Element, This Belongs in a Museum, and Hafid�s Grand Bazaar. 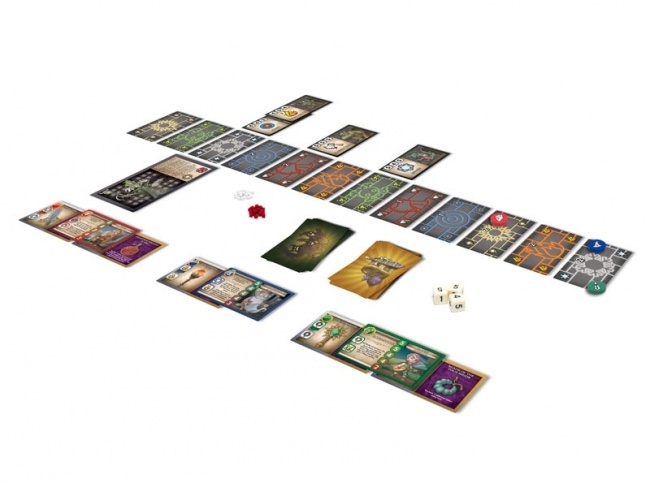 The game comes with 9 double-sided hero cards, 24 monster cards, 24 treasure cards, 12 room cards, 6 Monstrous Terror boards, 70 wooden cubes, 9 wooden hero tokens, and 3 dice. The game is intended for 2 to 6 players, ages 14 and up, and plays in about half an hour.